Hello Top Dog Dies fans! It is Thursday today and I have a tutorial up on the Top Dog Dies Blog today! It is release week and the August dies will be available for sale at the Top Dog Dies shop on August 15th. Of course there is a giveaway, see the link to the contest at the bottom of my post. 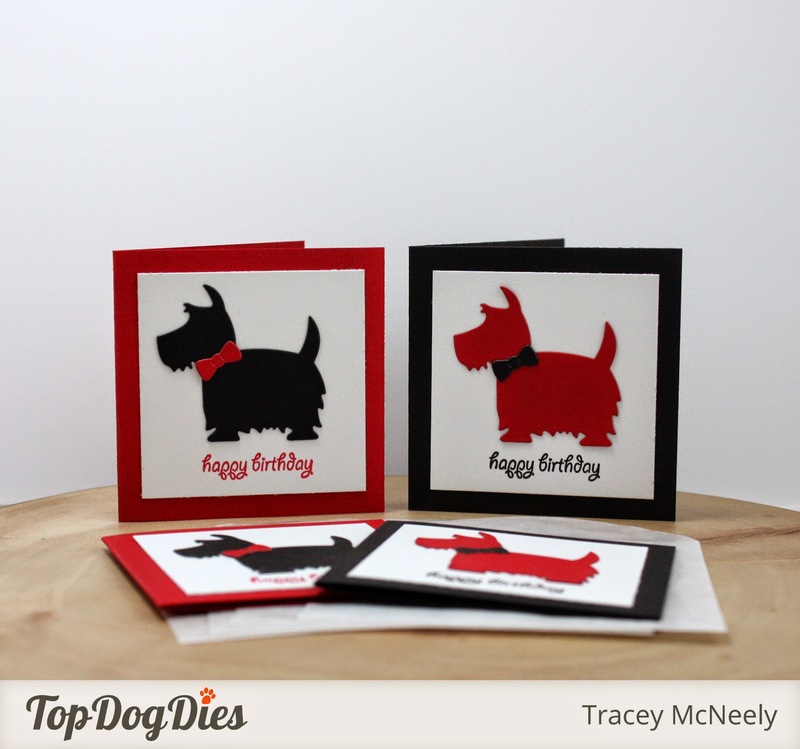 Today I used the brand new Top Dog Dies Dog Days #2 die set to create an easy to create set of gift enclosures. I hope you head over to the Top Dog Dies Blog to see my tutorial for these easy to create 3" x 3" enclosures. Oh how adorable are those little scotty dies. 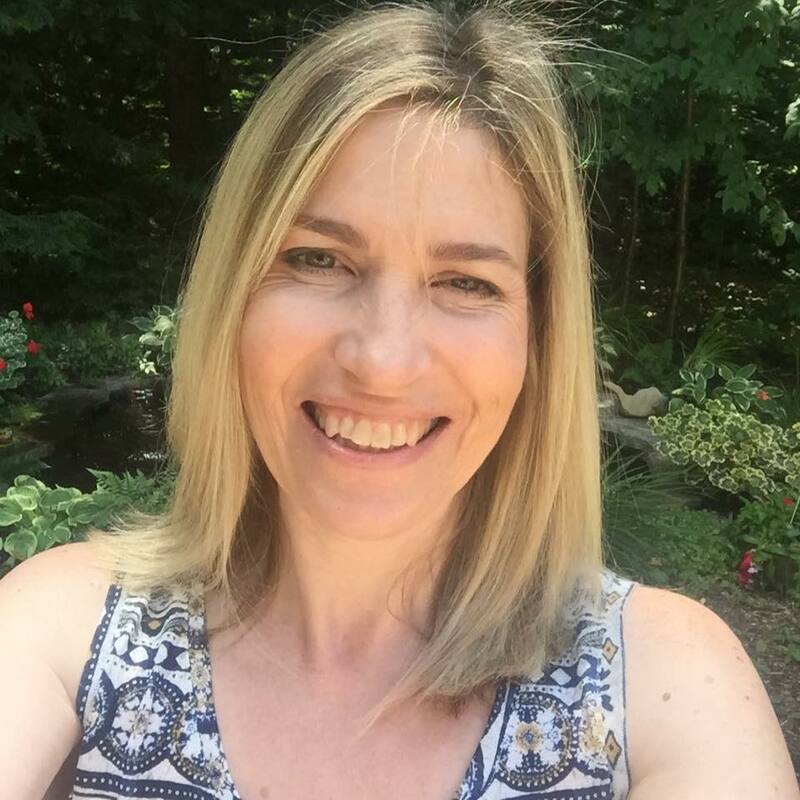 So sweet Tracey! See these dies are so adorable :) sweet card! oh my word these are SO CUTE.. love that little doggie..
Love the Scotty!! And I know someone who would love the poodle! The Scottie is my favorite of the new dies...so sweet! Oh, for gosh sake's - scotty dog dies! And your cards featuring this adorable little guy are pure delights! Love these minis!! My husband likes them too - his family had a scotty when he was growing up. Wow, so adorable! 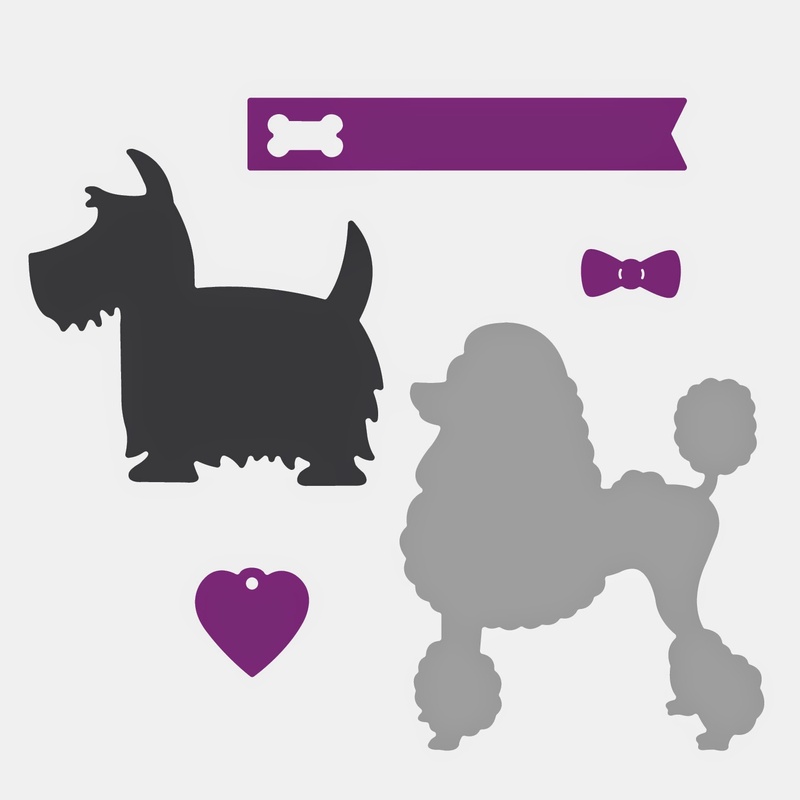 That little Scottie is just precious, as are your sweet mini cards! Cute, cute, cute Tracey!! Max just had his 11th birthday last week!! Oh, Tracey. These are just too adorable. Heading over to see your tutorial. How did I miss this adorable set of cards! Love it! Tracey...these are about as cute as they come! What a sweet set of doggie cards, so stinkin' cute.